Nottingham boxer, Jack ‘the Machine’ Mantell spoke today about his upcoming Cashfighter tournament and his intention to grab the first prize of £10,000. 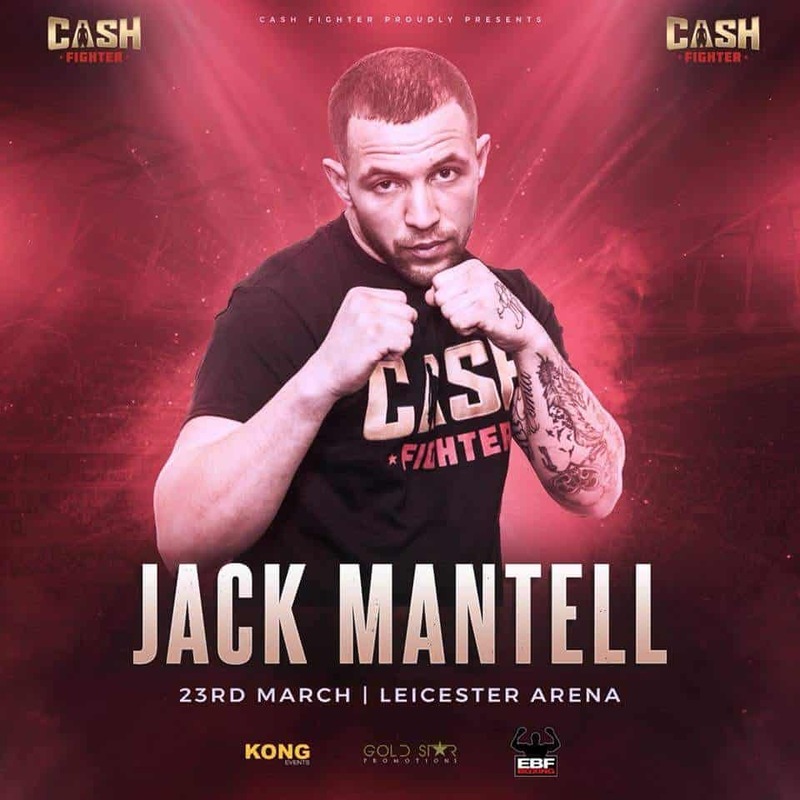 Mantell, the current EBF British Middleweight Champion, will be competing in the Cashfighter tournament on Friday 23rd March at Leicester Arena. Promising an evening of exhilarating and explosive boxing, the Cashfighter event is a knockout boxing tournament organised by Kong Events. The event will feature rising boxing stars as well as established amateur boxers. Consisting of quarter-finals, semi-finals and final, with the winner of the final taking the cash prize, the Cashfighter tournament will see Jack and the other fighters take part in a series of three 3-minute rounds. Kong Events commented “”We are proud to bring this mega boxing event to Leicester Arena, with £10,000 prize money for the winner. It is the biggest prize ever in non-professional boxing. The event is going to be spectacular with some of the best non-professional boxers in the country fighting it out for the £10K prize fund. Kong Events and Gold Star Promotions with EBF boxing are excited to bring a new exciting event to the city and are looking forward to the 23rd March”. Mantell, 25 and based in Watnall, has his eyes firmly on the cash prize of £10,000 in order to finance his wedding plans with his fiancée later this year. Speaking of his plans, Mantell said “It is a great honour for any fighter to be able to fight in a venue such as Leicester Arena and to be able to take that cash prize would be a great boost to our wedding plans”. He added that the event would be a great showcase for his boxing skills, with its 3000-person capacity and two giant screens allowing spectators to see every inch of boxing action. The event also features support from Lee Froch, as well as celebrity DJ spots. Mantell is sponsored by tax rebate specialists, DSR Tax Claims, in a sponsorship deal which lasts until the end of 2018. Tax expert and DSR Tax Claims founder, David Redfern, stated that “The Cashfighter event looks to be an exciting evening of top-notch boxing and DSR Tax Claims are proud to be able to help Jack on his journey to boxing success and wedded bliss”. He added that being able to support budding sports stars such as Jack was part of their business vision to give back to their local community and help to support others in attaining success. Door open at 6.30pm for the event on Friday 23rd March 2018. Jack Mantell is the 25-year-old EBF British Middleweight champion from Nottingham. He is sponsored by DSR Tax Claims.